We work with local councils and authorities to help them reduce their energy costs and meet carbon reduction We know by using solar our clients see immediate reductions in energy costs, benefiting from generous ROI & meeting sustainable commitments. Empower Energy off a full turnkey solution from Project management, design, performance calculations, modelling and planning through to installation and commissioning. Solar Panels For Public Sector Industrys. 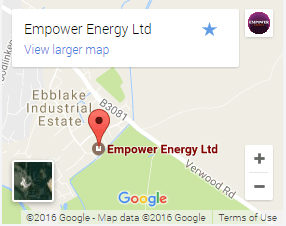 Empower Energy was commissioned by Hampshire County Council to design and install a 16.8 KWp Solar PV system on Cranleigh Paddock, Lyndhurst. 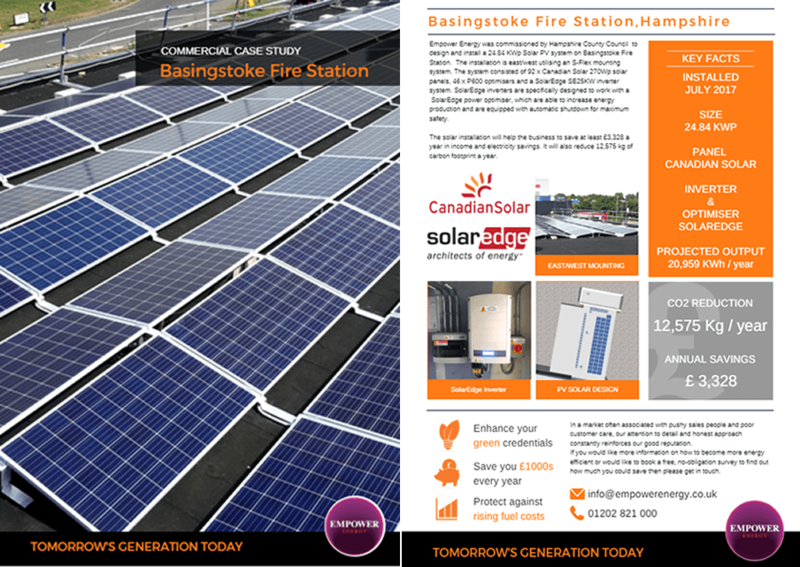 The solar installation will help the business to save at least £3,328 a year in income and electricity savings. It will also reduce 12,575 kg of carbon footprint a year. 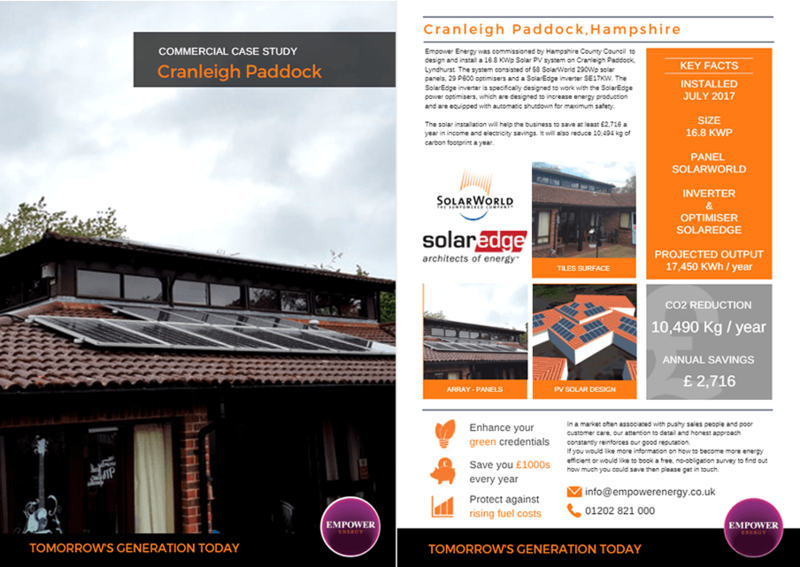 Empower Energy was commissioned was commissioned by Hampshire County Council to design and install a 16.8 KWp Solar PV system on Cranleigh Paddock, Lyndhurst. The solar installation will help the business to save at least £2,716 a year in income and electricity savings. It will also reduce 10,494Kg of carbon footprint a year. Having completed a wide range of high-profile projects for school and local authorities. 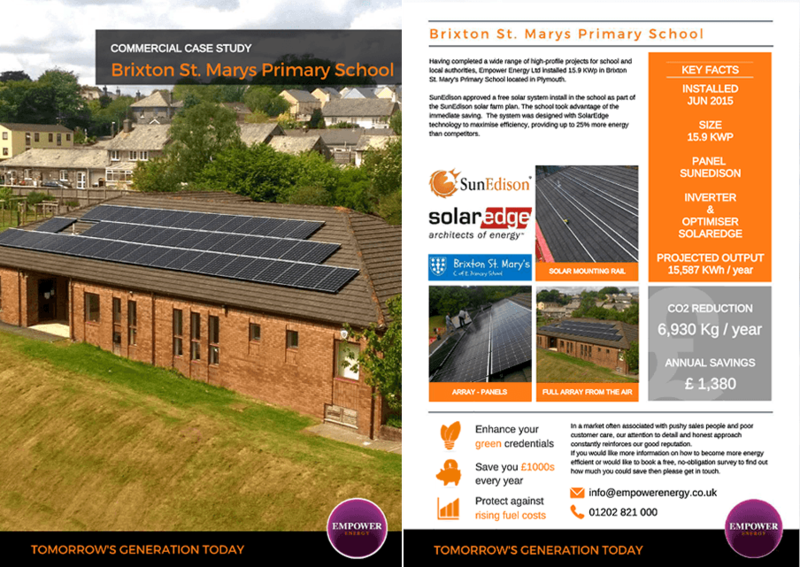 Empower installed a 15.9 KWp in Brixton St. Mary's Primary School. SunEdison approved a free solar system install. 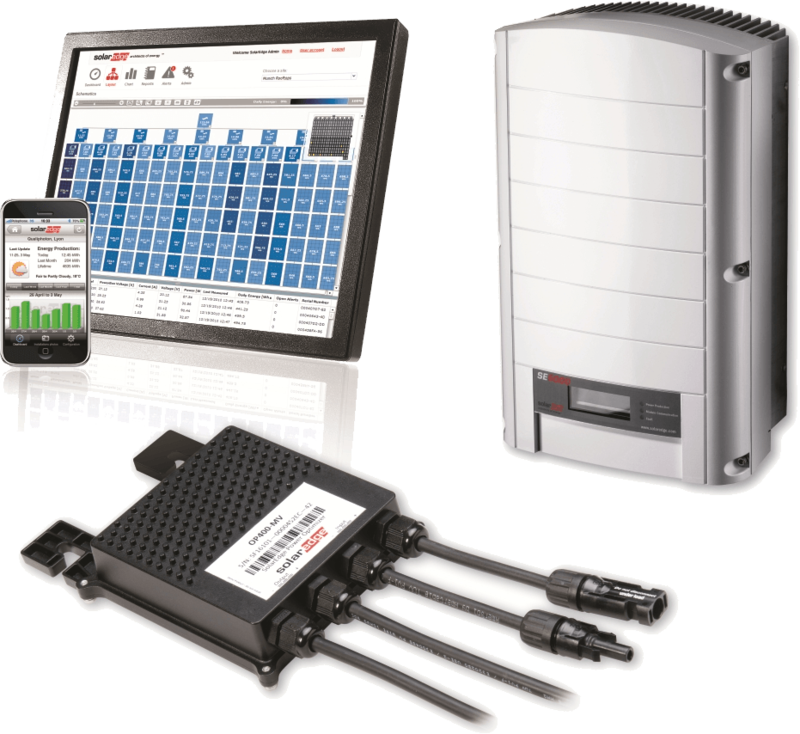 The system was designed with SolarEdge technology to maximise efficiency, providing up to 25% more energy than competitors. If your interested in learning more how solar could help your business please fill in our contact form with your contact details and our sales team will contact you shortly to discuss your requirements.